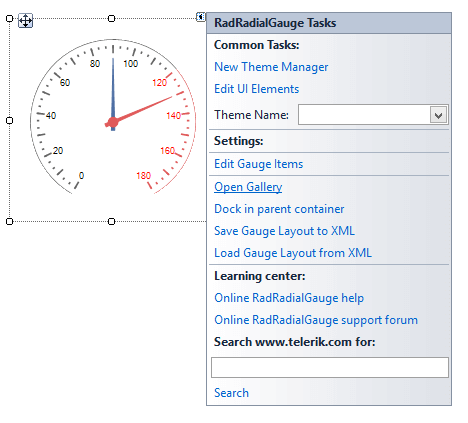 If you do not choose a gauge's style and just close the gallery, an empty RadRadialGauge will be created. You can change the gauge's style via the Smart tag's option Open Gallery as well. The following code snippet is purposed to demonstrate how to create a simple clock. 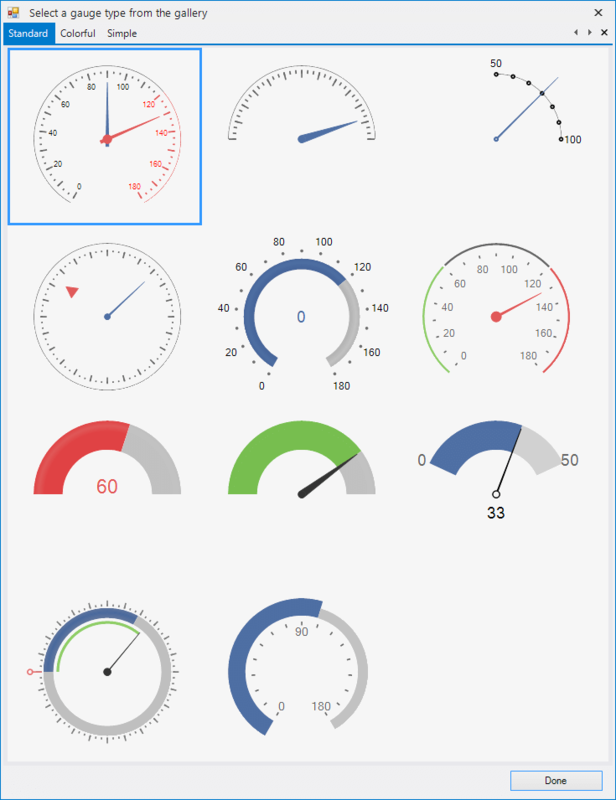 For this purpose we will add the necessary clock's elements to the RadRadialGauge.Items collection. Afterwards, we need to drag a timer from the Toolbox and drop it onto the form. 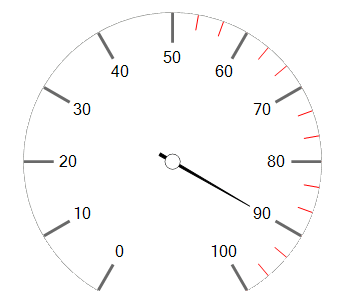 Set the timer's Interval property to 1000. Subscribe to its Tick event where we should update the time.